This week’s reviews include releases from 10 Years, All Pigs Must Die, Angel Nation, Blut Aus Nord, Delain, Honeymoon Disease, Katla, Ne Obliviscaris, Oz, Parodos, Winds Of Plague and Zhora. 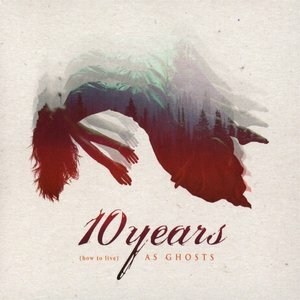 The latest release from 10 Years finds one longtime member exiting the band, but two returning. Guitarists Brian Vodinh and Matt Wantland are back, with founding guitarist Ryan Johnson departing. (How To Live) As Ghosts was produced by Nick Raskulinecz (Korn, Mastodon). The album is jam packed with radio friendly hard rock. “Novacaine” is already a hit single, with several more potential singles at the ready. The songs are slick and melodic, but have plenty of heaviness. Frontman Jesse Hasek has a wide range, and a more stripped down vocal production is a more effective way to put it front and center. For All Pigs Must Die, if their last album Nothing Violates This Nature was a natural extension of their debut God is War, so is Hostage Animal to Nothing Violates This Nature. The group hones in their atomic delivery while exploring a gloomy, menacing front that was only teased previously. Pairing a sub-minute punk feast in “Meditation of Violence” with the sinister drudgery of “Slave Morality” could be unnecessary emotional whiplash if done improperly, but the band has no such issues. Their nihilistic streak is not hindered by the occasional resounding melody. 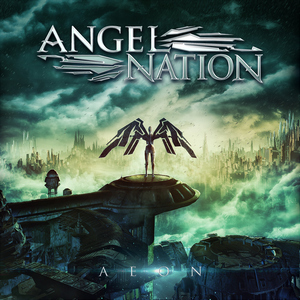 The band Angel Nation released their 2014 debut under the moniker of EnkeliNation. Aeon is their first release under the new name. The UK band is fronted by Elina Siirala, who became Leaves Eyes’ vocalist last year. Angel Nation play bombastic and melodic metal that blends traditional and modern styles. Siirala is classically trained with a powerful set of pipes, able to dial it back or belt it out depending on what the song requires. The slick and soaring tracks are given some edge when Omnium Gatherum’s Jukka Pelkonen guests on “Free.” That’s contrasted by the sparse and subdued ballad “Music Plays,” which features Siirala’s mother on violin. The band has made a big leap forward on their second album. The French troupe always deliver eclectic and creative albums, and this is no exception. 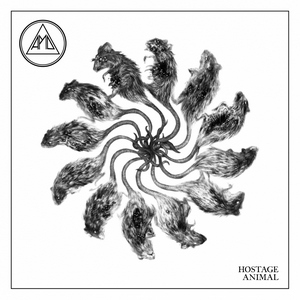 Dense, oppressive black metal with Vindsval’s aggressive yells and shrieks is contrasted by slow, regal industrial-tinged tracks with melodic vocals. While some songs are harrowing and chaotic, others are atmospheric and reserved. 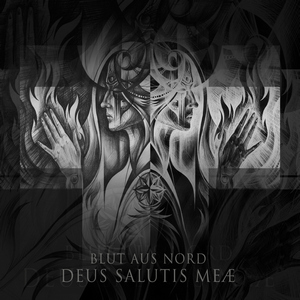 From avant-garde to industrial to traditional, Blut Aus Nord skillfully wrangle disparate elements into a cohesive and compelling whole. 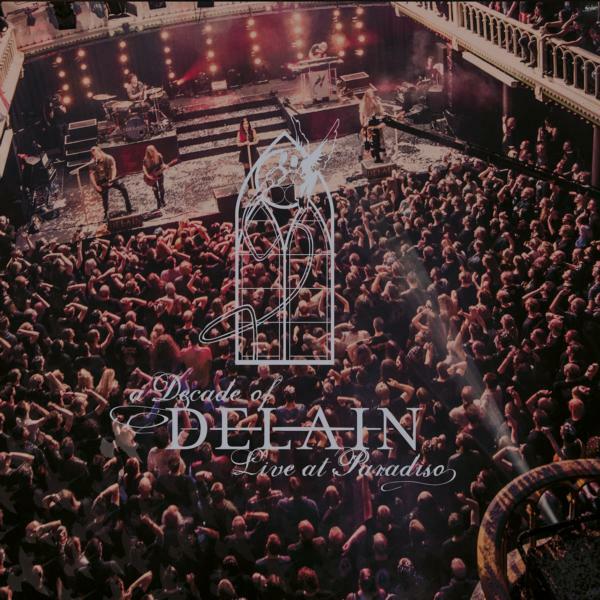 To celebrate their 10th anniversary of releasing albums, the Dutch symphonic band Delain performed a special show in Amsterdam in December of last year. The 23 song extravaganza is captured in their first live release, the CD/DVD Live At Paradiso. The set features songs from all of their studio albums, from well-known singles to more obscure album tracks. There are also numerous special guests including Alissa White-Gluz (Arch Enemy), Burton C. Bell (Fear Factory), Marco Hietala (Nightwish) and Liv Kristine (Leaves Eyes). Charlotte Wessels is a charismatic frontwoman, the band’s performance is spot on, and the guests reinforce the atmosphere of this being a special and unique show. In addition to the concert, the DVD also includes a documentary on the band’s history. 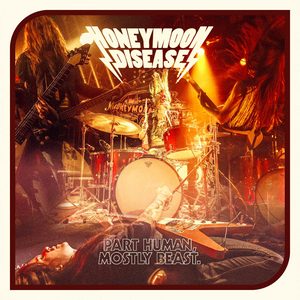 Honeymoon Disease, from Gothenburg Sweden, perform a euphoric form of hard rock to maximum potential. This is music that has a very fun aspect to it that is hard to deny. It is a very emotionally ridden form of rock that goes for the heart. The result is a very pleasant listen that isn’t hard to appreciate. Certainly, this is very friendly music, but I think it’s heady enough to make an impact with the listener. There are larger than life vibes that come with the songs, such as the outstanding “Coal Burnin,” but they are emptied into these accessible songs. The entire affair is a rousing listen, but one wishes there was more depth to the recording. It seems a little shallow and it could use a more progressive mindset, but for a rocking type of thing, this certainly has the right amount of energy and drive. Icelandic duo Katla are comprised of drummer Guðmundur Óli Pálmason (ex-Sólstafir) and Einar Thorberg Guðmundsson (all other instruments and vocals). Taking their name from an active volcano, the pair aim to create bombastic, heavy music full of melody and atmosphere. Móðurástin (Mother’s Love) is their debut album. Need an obscure reference? Katla sounds remarkably similar to mid-’80s gothic rock band Balaam and the Angel. Massive drum sounds, driving beats, big melodies, catchy arrangements, and gothic-tinged vocals dominate Móðurástin. Lyrics are sung in Icelandic but it doesn’t affect the vibrancy of the songs. This is a fine collection of gothic-tinged heavy rock. 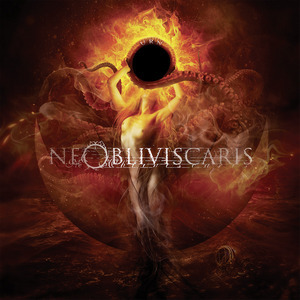 Ne Obliviscaris already had a clear idea of where they wanted to go way back in 2007 with their The Aurora Veil demo, and Urn is further continuation of their violin-laced progressive death metal. Their proficiency has only gotten stronger over the years, evident in Urn’s precise songwriting. Though Urn often gets in a mode of contemptuous fury, it’s the quiet moments of acoustic guitars, soulful melodic vocals, and classical violin leads where the album shines brightest. These lovely pieces carry the heavier material, providing context to all the anger from the overly mechanized drumming and detestable screams. The old among us might remember Oz from the ’80s, when the metal scene was just starting to go crazy. These Finns were the self-proclaimed “heaviest band in the world,” and albums such as Fire in the Brain and III Warning came pretty close to making that point. Transition State is their first real release since 1991, and aside from drummer Mark Ruffneck (yes, in the ’80s the stage names were hilarious), this is a completely new lineup. Which leaves us in a bit of a quandary. 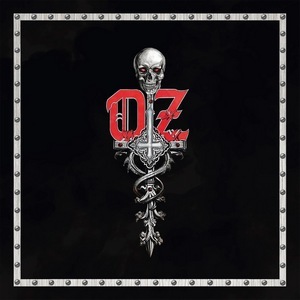 Oz have delivered a solid, well-played and written album full of top-notch traditional metal, and new singer Vince Kojvula has a great set of pipes well-suited for the music, but this is not your dad’s Oz. Much less heavy, and lacking the trademark vocals of Ape DeMartini, Transition State loses its identity and becomes merely another pretty good traditional metal album. Nothing wrong with that, unless you were hoping for an Oz album reminiscent of days of yore. 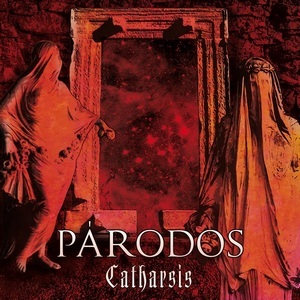 Parodos’ Catharsis is a “go for broke” debut, its nine songs dominated by excessive lengths and guest spots from members of Fleshgod Apocalypse and Hour of Penance. This Italian group has ambitions to reach the namesake of those two fellow Italian bands, though their sound is more in the symphonic style of the former and less of the technical accomplishment of the latter. Their aim is admirable, and they throw enough loops in an eight-minute song to make it listenable. The excessiveness becomes overbearing by the last few tracks though, holding back the full effect of their grandiose sound. The veteran California symphonic deathcore band Winds Of Plague have had a ton of lineup changes since their previous album. Frontman Johnny Plague is only member that was also on 2013’s Resistance. 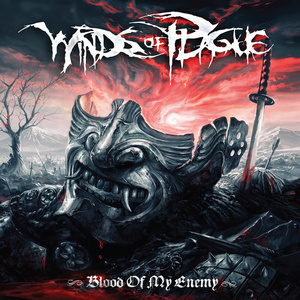 Former drummer Art Cruz returns to the fold for Blood Of My Enemy, along with newcomers Michael Montoya (guitar), Justin Bock (guitar/bass) and Adrienne Cowan (keyboards). Even with the wholesale changes, Winds Of Plague’s sound is intact. Heavy guitars and ‘core elements are augmented by symphonic and cinematic atmospherics. While those elements are a signature part of their sound, the catchy melodies and head-bobbing grooves are what make or break the songs. This time around they’ve written a plethora of memorable and varied tracks that are tailor made for live shows. The adage that ‘you gotta take the good with bad’ rings true on Ethos, Pathos, Logos, the second full-length release from Irish progressive sludge metal band zhOra; fortunately, the album harbors a bit more of the positive than it does the alternative. The music follows a story about past lives and cannibals, the artwork is outwardly alien, and the rhythms and (harsh) vocal assault are imposing, but when your Bandcamp purports that the ‘album is sure to draw parallels with Mastodon’s Crack the Skye, Tool’s Lateralus, or Pink Floyd’s The Wall,’ boy howdy are you setting yourself up to fail. zhOra don’t fail, but they also don’t make the honor roll. The clean vocals are agonizing, the song structures complex and often engaging, but likewise crabbed and needlessly ostentatious. There’s a lot of posturing over the course of the album’s ample running time, and, ultimately, the quartet’s bold ambitions do them no great favors. A mixed bag and a chore.